Remodeling your bathroom is one of the most important changes you make to your home. A bathroom needs to be a peaceful place that meets your needs. Want your own in-home spa? 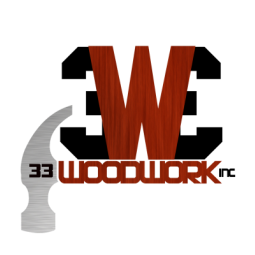 From heated floors, to hot tubs, to the built in speakers that play your favorite music, 33 Woodwork makes it easy. We follow your style and decor right down to the smallest detail like where the light switch should go. Our work is guaranteed on time and on budget. 33 Woodwork for the Bathroom of your dreams. View Our Custom Bathroom Remodeling Gallery.